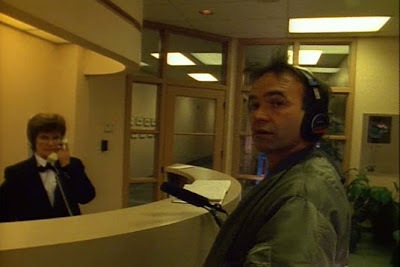 The 2002 short doc, The F.E.D.S., by Jennifer Drummond, depicts food demo workers hawking their samples in supermarkets. 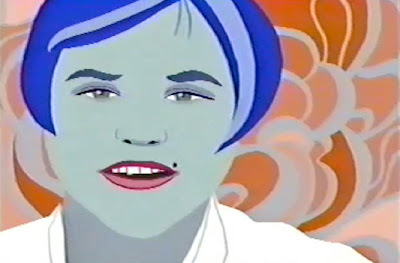 In-store audio recordings are the documentary groundwork for the film's visuals, which are a fantasy of colorful rotoscoped animations. 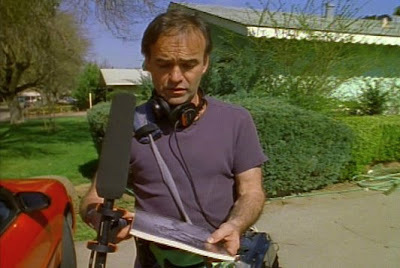 Nick Broomfield's investigation of Kurt Cobain conspiracy theories, Kurt & Courtney (1998), is notable for some shots of the director himself recording the film's audio (above). 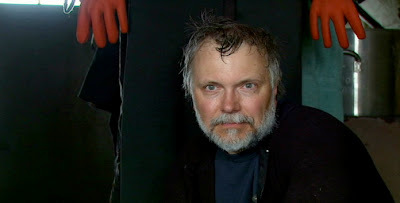 Jay Allison is best known for his own audio documentaries and his encouragement of other audio makers via Transom.org, the Public Radio Exchange, and the Moth Radio Hour. 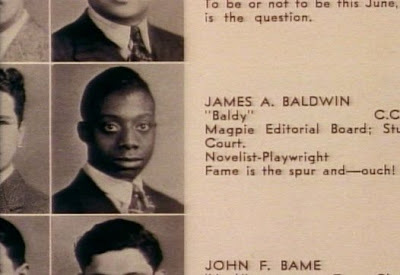 But he's a fine "one man crew" documentary filmmaker as well. (Check out his useful tips for videographers, especially his advice on acquiring certain shots in the field that will come in handy as transitional and cutaway material in the editing room.) Allison's video documentary Castaways: The Boys of Penikese Island originally aired in 1994 on Nightline with a rave intro from Ted Koppel. 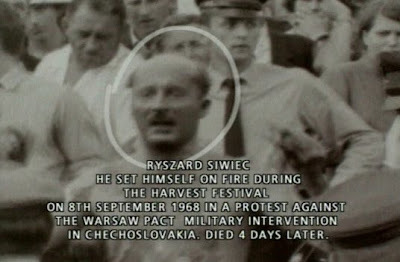 Werner Herzog's Encounters At the End of the World (2007) is shot with high def grandness like a nature documentary. 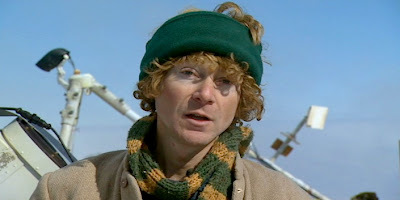 But it's also a series of character studies of some memorable eccentrics and geniuses who are make up a community of Antarctica residents. The interview framing of cell biologist Samuel S. Bowser (top) includes some bright red gloves. 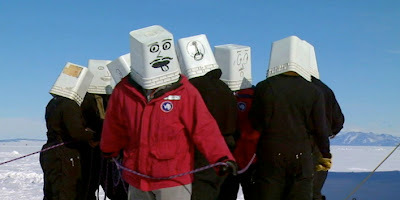 Middle, a class of South Pole newbies (wearing buckets to block sound and sight) unintentionally show the "cascading error phenomenon" that can happen during a sense-erasing blizzard. Volcano expert Clive Oppenheimer (bottom) chooses to wear old-timey tweeds against the cold. "Evidence" is a book of photographs that was first published in 1977 and was finally (after being out-of-print for years) reissued in 2004. Photographers Mike Mandel and Larry Sultan went through scores of government, university, and corporate files to select a wide-ranging set of memorable images for the book. No captions, no explanations. This intentional lack of context, combined with the Weegee-like black and white stills, allows for a retrospective gaze at mid-twentieth century American hubris. Update: Larry Sultan's recent death (an obituary by Randy Kennedy is here) is a loss for his family, students, and admirers. 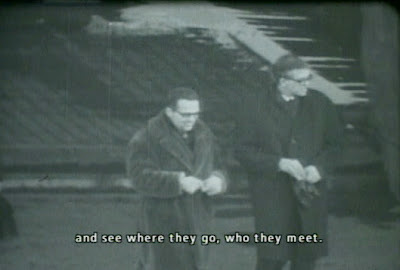 Secret Tapes (Tajne Tasmy SB, 2002) was assembled from official surveillance films made in the 60s and 70s by the Soviet-backed Polish government in their futile attempt to squelch dissent. Former secret agents of Poland's Ministry of Internal Affairs talk about how they spied on fellow citizens with hidden cameras. Their matter-of-fact tone as they discuss camera placement and other logistics, combined with footage of protests, conversations, and parades, is a scary reminder of the banality of evil. Trevor Paglen's documentation of surveillance and government secrecy is both terrifying and fascinating. He's a visual artist/geographer/agent provocateur who uses impeccable research to shed light on military black ops. A representative lecture is posted here. Rick Prelinger, collector and archivist of the non-Hollywood-film universe, posted a must-read report on the threat to unrestrained documentary expression by the "storytelling Cuisinart." 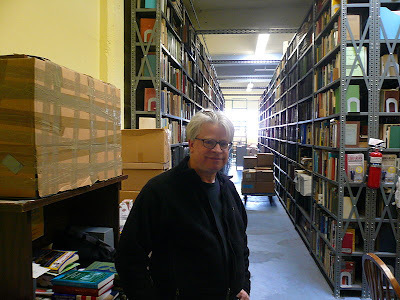 The bulk of Prelinger's films are to be preserved at the Library of Congress, with a large number also available at the Internet Archive. 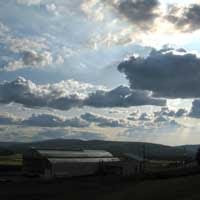 Trevor Shannon's time-lapse sequence of rolling clouds in Fairbanks, Alaska is posted here on Vimeo. 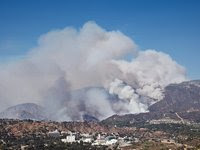 Dan Finnerty's time-lapse views of the recent Station Fire in Los Angeles are posted on Vimeo. This one is my favorite. The New Yorker Magazine's website includes a shocking time-lapse sequence taken by elevator security cameras in the McGraw-Hill building, New York. 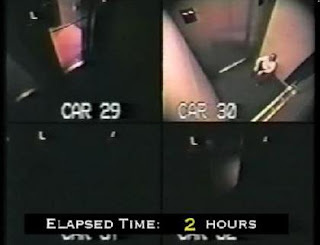 Nicholas White was stuck in an elevator for 41 hours in 1999. 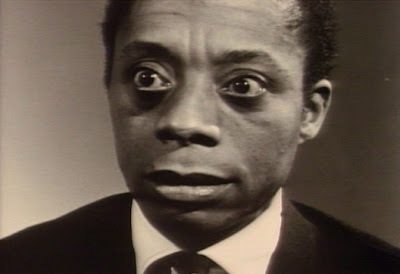 James Baldwin: The Price of the Ticket (1989) by Karen Thorsen relies on a wealth of archival footage of Baldwin and the places he lived, from Harlem to France to Turkey. Lovely interviews with writers and friends, including Maya Angelou, Amiri Baraka, and William Styron, add many insights without bogging down the biography's narrative drive. 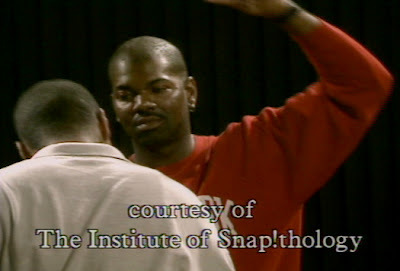 Tongues Untied (1989) by Marlon Riggs was broadcast in the early years of public television's POV program. 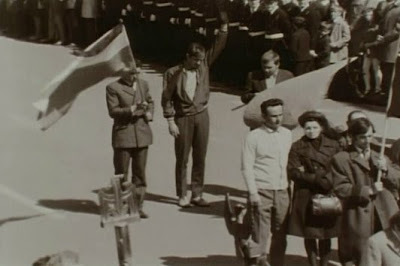 The film was essentially made by a one-man crew, because Riggs was the producer, director, cameraperson, and editor. 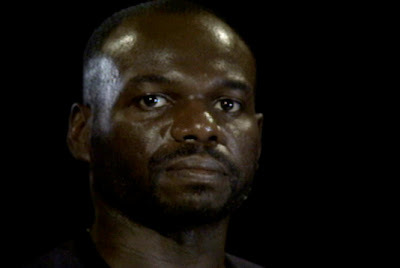 He also appears in the film (top still), taking us through his personal story as a gay African American man. 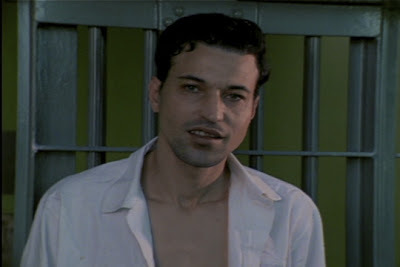 The span, ambition, and beauty of the film are not diminished after twenty years. Poetry and stories, dance and music, eulogies for dead friends, and observational and staged footage are at once tender, humorous, biting, and heartbreaking. 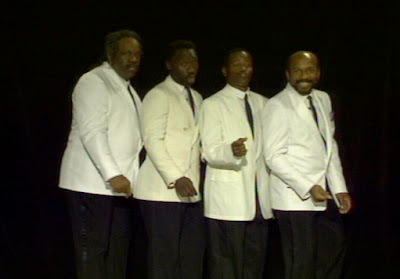 The do-wop group (middle) is intercut with paraders and their detractors in one memorable sequence. 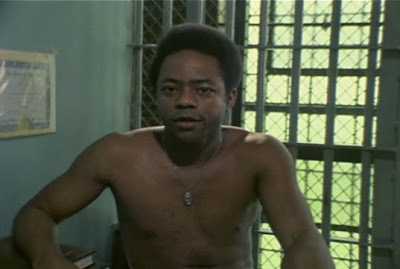 Bruce Jackson and Diane Christian had unusual access to prisoners for their remarkable and very watchable film Death Row (1979). 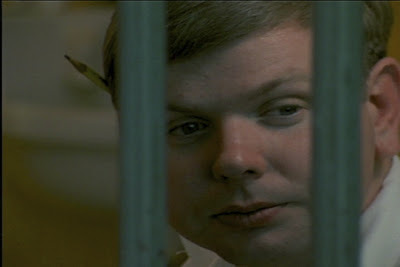 They show daily life and routine pastimes on death row in a Texas prison. 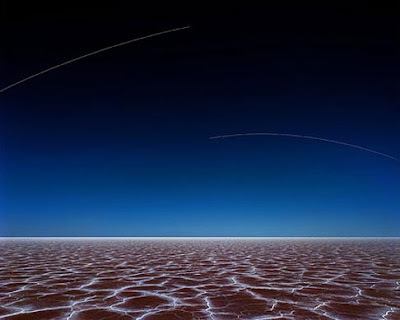 The visual texture, not surprisingly, is characterized by the verticals of cell bars, while the audio background features the dull drone of the television set that always seems to be on. Jackson and Christian's portraits of the men don't mention the crimes that sent them to death row; at least one of the men was later exonerated. Heddy Honigmann's Forever (2006) creates a portrait of the Père-Lachaise cemetery in Paris. The filmmaker has a tactful manner with visitors to the cemetery who pay their respects to the beloved, the famous, or the forgotten people buried there. A cemetery tour guide (top), a cartoonist fan of Marcel Proust (middle) and a woman mourning her long-lost husband (bottom) are three of many memorable encounters. Harlan County USA (1976) by Barbara Kopple makes labor history personal and visceral. Coal miners on strike and their families are the heroes -- but so are the filmmakers. Music, process, observation, interviews, archival elements, the good, the bad, the ugly, and the rest of the documentary toolkit are woven into a breathtaking movie.